Soon enough, I will be off on a plane again heading back to England after spending four glorious weeks in Green Bay, Wisconsin visiting my lovely boyfriend. We’ve had such a great month and managed to fit in a lot of activities, including weekends away in both Milwaukee and Door County. I will be blogging about these weekends at a later date so, for now, let’s just marvel at some pretty things I’ve bought during my time here! This post is going to focus on designer bargains alone; however, I have one upcoming that will feature high street items! Here are the details of my Wisconsin shopping haul and three new designer babies! 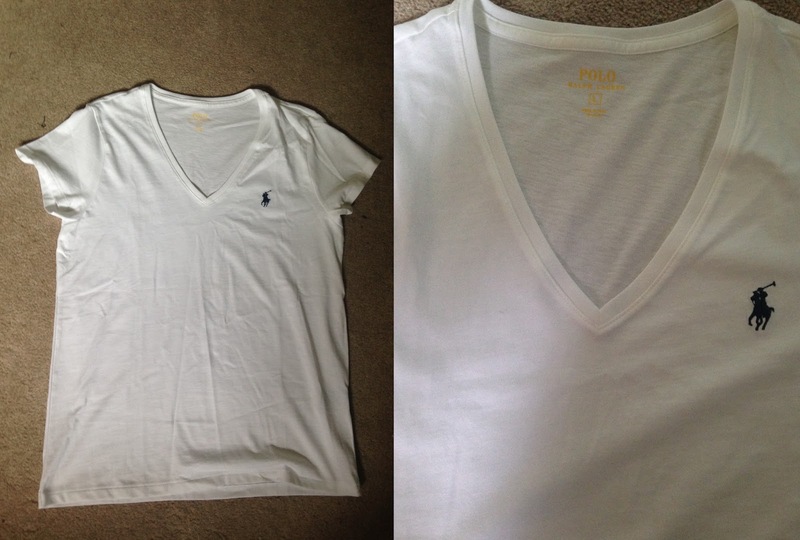 1) The Ralph Lauren Polo classic white t-shirt. I’d never owned anything Ralph Lauren Polo before, even though my parents practically live in this brand, so I was super excited to see this classic white v-neck t-shirt with the cute little RLP logo on sale at the Outlet Mall in Oshkosh. I had a classic white t-shirt in my possession from ZARA until recently (I made the mistake of taking it backpacking and had to throw it away) so I was very excited to be able to have this iconic staple back in my wardrobe again. (Who doesn’t love a classic white tee?) Also, at $20, it was a steal! 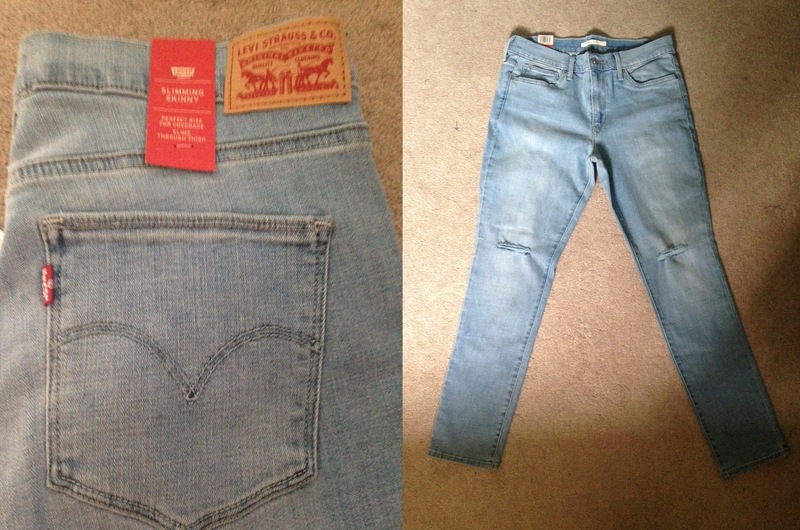 2) The Levi slim-fitting jeans. Believe it or not, this is the first pair of Levi jeans I have ever owned – even though I have been to America a handful of times in the last nine months (and on several occasions in my lifetime)! I have always yearned for a pair of Levis but never been able to actually afford them – hello, clearance section of Kohls at Bay Square Park mall in Green Bay! (My new friend!) I decided to get this lighter blue pair with ripped knees – a perfect addition to any gal’s summer wardrobe as we head into SS17. Winning! 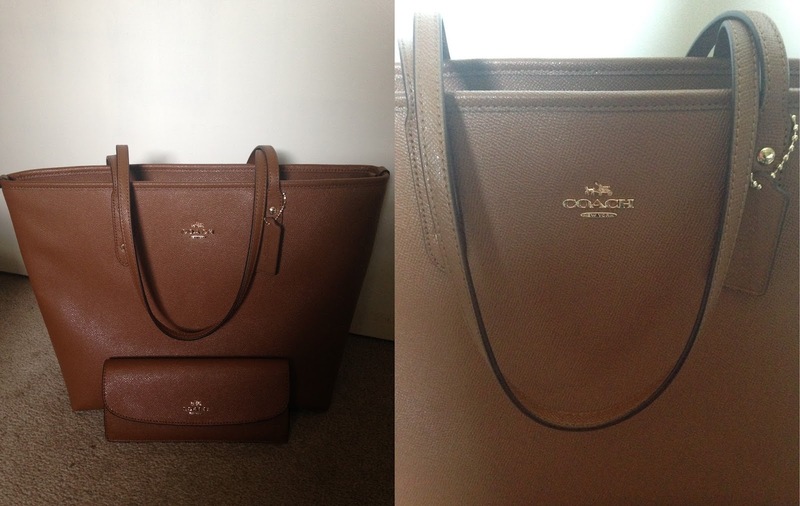 3) The Coach designer handbag and purse. I bought in the staff shop when I used to work in the UK head office. so pretty, it really does hurt my eyes. I don’t understand how tourists can come to America and not leave with a suitcase full of shopping. It’s like, impossible! We’re lucky that we can access a lot of American brands in the UK, but the prices are never as friendly as we have to import the goods. Furthermore, as I don’t plan to be back in America for a little while, I thought I’d stock up while I could. America, I love you! I will be back. "My Current Favourite Lipstick by Sports Girl Australia"